the soul can never be cut into pieces by any weapon, nor burned by fire, nor moistened by water, nor withered by the wind. khushi was standing at the poolside, amma had just spoken to rahim chacha, khushi could feel her mother’s tears still and the silent sorrow in the bent shoulders of the frail, elderly servant of the family. there was a look in his eyes that spoke of things which perhaps can never be found words for. she wanted to be by herself and let the feeling subside before joining everyone. there was an air of joy in shantivan. arnav ji and she were back, jiji was looking very healthy and happily pregnant, even op seemed to be more cheerful than usual, there were whispers of a girl friend who was educated and smart, khushi was sure op had said “good evening, khushi bhabi!” to her when he greeted them last night, but she was too sleepy at the time to be sure… and now babu ji was speaking, he was walking… khushi still couldn’t believe it. it was precisely at this moment that she got the uncanny feeling. she looked around the poolside, her gaze darting about. what was that! something was not right. arnav ji! something was not right with arnav ji. the sensation was so strong, khushi went running to the bedroom, picked up her phone and started calling him as she walked out back onto the poolside again. the phone rang a few times, but no one answered. arnav ji! what could be wrong. she dialed again. again there was no answer. khushi could feel her panic begin to rise. hey devi maiyya, raksha karna… her throat was beginning to constrict. she could hear a throbbing in her ears, her hands trembled. it seemed to reach her, touch her… steady her. at one moment she felt as if she were here alone in this world with her thoughts and in them there was only him. only arnav ji. she could see him laughing, his head thrown back, his eyes shining. khushi closed her eyes. arnav ji… i am here. he drove without saying a word, eyes on the road. a curious darkness had caught hold of him, it gripped his insides. his mind moved between utter vacuum and a train of riven memory. the traffic was getting thick. “dammit!” he swore under his breath. vijay verma sat quiet by his side. at the back, the nurse quaked. that voice had cut into her. a large bleak awareness loomed by his ears and bludgeoned the area behind his eyes, asr felt winded and yet… he knew he had to stay focused and calm. di’s life was again in a strange place today. where do roads really take you? there is no map, is there… you just keep finding the way and turning… where do roads go in the end. the end… asr breathed in deeply. 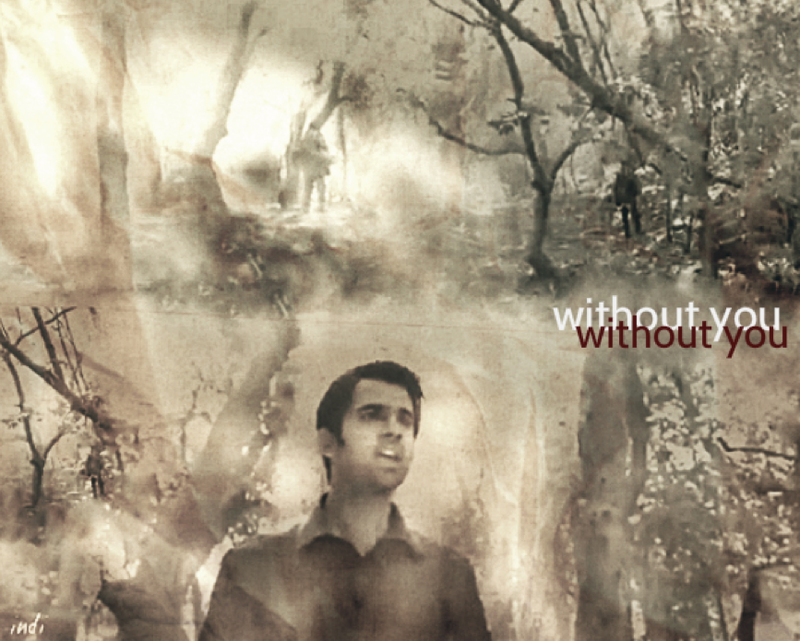 he thought he heard a voice say, arnav ji… i am here. 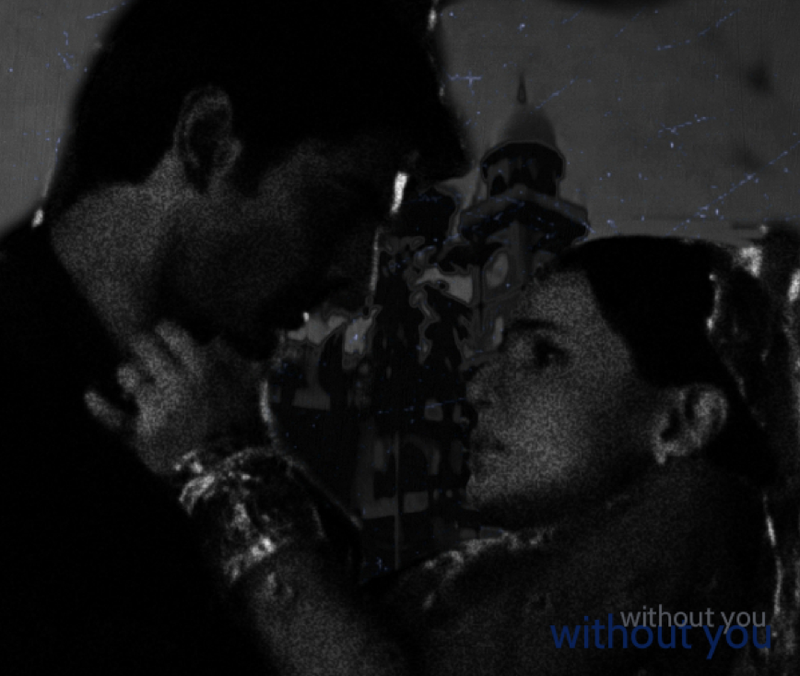 khushi… he felt a faint air of lightness touch him. are you there, khushi? everything is very dark around here. he was driving at a persistently high speed… way beyond the limit… his foot jammed the accelerator… was she in that building? was she trapped in that collapsing building… dammit!! he had no idea why he felt this stricken. it must be because she was an employee. he would do this for anyone. but right now, there was no time to think. to ponder. he had to reach. she mustn’t be harmed. a gargantuan lightning lit up and split the sky. it’s rippling angular branches reaching deep into the dark night and tearing it with light. khushi… he was saying her name under his breath as he drove without looking straight ahead. khushi, he was telling her to hold on, stay alright, he would get her. khushi… who was she? a stranger. a strange girl. where had she come from? one fine day she as there in his life. how come she hadn’t left? “om prakash ji, aap humarey kapde banwari ji ko de denge? arnav ji ke kameez dry cleaning karwana hai, unhen bata di jiyega…” khushi had started unpacking her clothes in the morning, now things lay all around, still waiting to be put away. asr had taken out and left stacks of clothes neatly arranged in the walk in wardrobe. one lot for laundry, the other for dry cleaning. “yes, khushi bhabi, i do…” op said promptly. 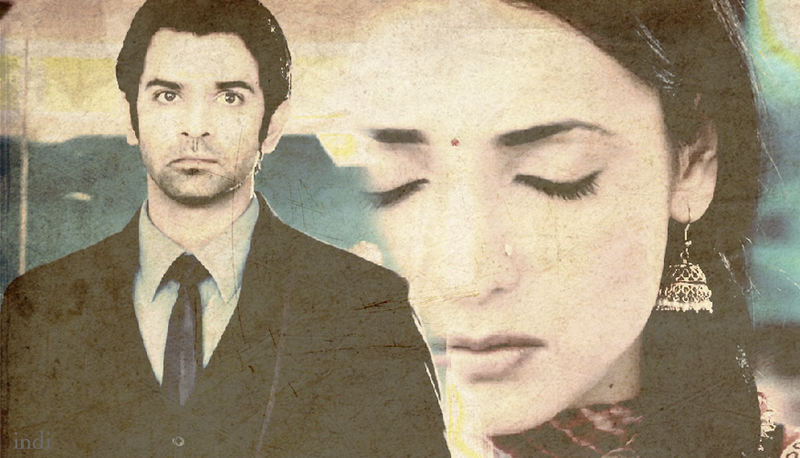 when khushi looked up startled, he blushed, went a shade of purple and scratched his ear, looking sheepish. “kya?!!! aap bhi angreji bolne lagey… wahan woh laad governor… mera matlab arnav ji…!” khushi exclaimed, her face all scrunched up and indignant. “nahin, bhabi… woh…” op mumbled, quickly picking up the clothes. “kyun, om prakash ji, padosi ke ghar mein woh nayi ladki jo aayi hai, maine suna bahut khubsoorat hai aur englsh winglish bhi bolti hai…” khushi was grinning at him and her eyebrows were dancing up and down. op concentrated harder on the clothes and started peering around to see if he needed to get anything else. the little pink purse was lying there among khushi’s things. she took it with her everywhere. op saw it and remembered it had been lying in one corner in chhotey saab’s room in sheesh mahal… on the floor. he was glad he had picked it up and put it among chhotey saab’s things. khushi bhabi liked the little pink and brown purse. “i going,” he said crisply and walked off. khushi sighed and was about to leave the room and join everyone when mami ji walked in, without knocking of course. “phatee saree! how you arej, my girls?!! londons you are likings? 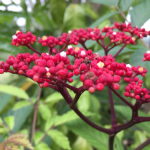 you do soppings or nots hello hi bye bye!” chimed manorama raizada, her features in constant motion as she spoke, her two hands held out horizontal to the floor, like two clipped wings… but she was obviously adept at flying where she pleased and when. her eyes looked around at khushi’s clothes and other things lying on the bed and floor… “lets me shee lets me shee… bhat eej that?” she pointed to something, khushi went slightly pale. with a swift yank, mami ji pulled out the red dress that was peeping from among khushi’s clothes, “bhery pretty! and issmall… this eej gipht phors some small girls eej eet? buts, bhere are the issleebhes, phatee saree?” mami ji asked looking puzzled. khushi looked down and blushed. now it was her turn to be embarrassed. “nahin..woh.. mami ji… arnav ji…” khushi started mumbling. but mami ji was already speaking with great enthusiasm. “nebherminds… buts now bhe hab lot oph works to dooj, you knowj… khoon bhari tang ke vaaste bada sa godh bharai rakhna hai… aphter all my phirst grandchild… phirst granddaughters… sons… grand entriya oph the beeg raijada khandaan thees generashuns!! !” mami ji looked up as though she could see her name written in stars up there… the most bootiphool dadi of the whole wide universe. suddenly she could feel herself being sucked into a terrible place, a wildness all around. everything crashed in her. arnav ji, her heart ached again. for some reason she remembered a night from months ago. she had walked into the room after washing the dishes. as usual he had come home almost at eleven, long after everyone had had dinner and gone to bed. she’d stayed up and eaten with him. he kept insisting she had to stop doing this… she of course would not listen. when she walked into the room, he was in bed, already fast asleep. a book lay upturned on his chest. she’d gone up to him on tiptoe… he was a light sleeper. always alert. she didn’t want to wake him. he looked exhausted. his skin was sallow and saturated with tiredness it seemed to her. 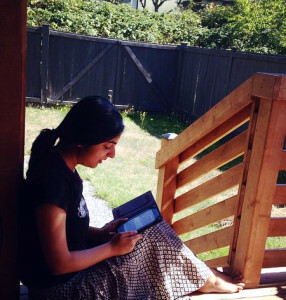 her eyes moved to the book… the cover read, “the art of war” by some person called sun tzu. khushi stayed there bent over, looking at the book, a frown creasing her brow and a sadness whispering into her. she quietly put the book away, switched off his reading light and lay down next to him. “khushi?” he murmurred still asleep and his arm unfolded, reaching toward her, searching. she moved toward it with a simple elation filling her and snuggled close to him. he slept on. “hum aapse bahut pyaar karte hain, arnav ji,” she thought as she drifted off. mami ji said, “lot oph works, many many works, hello hi bye bye!” and sailed out of the room, pleased with the whole thing, planning what she’d wear with her cartier panther brooch at her daughter in law’s godh bharai. asr stood at the doorway of the tiny room. green walls, the paint chipped in places, a very old sofa set with fading pink upholstery, a couple of coffee tables unremarkable and unpolished, some old books on a shelf, a small wooden dining table with folding metal legs on one side, a couple of grey steel folding chairs. there was a clock on one wall and opposite that hung a calendar with a picture of krishna playing his flute, legs crossed as he stood in his classic pose. asr wondered without even thinking… in that distracted yet concentrated state the mind gets to when something of extreme impact is moments away… why do they always paint him blue? 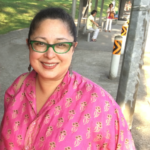 “sir…” urmila jana’s voice was a thin sliver of a whisper. 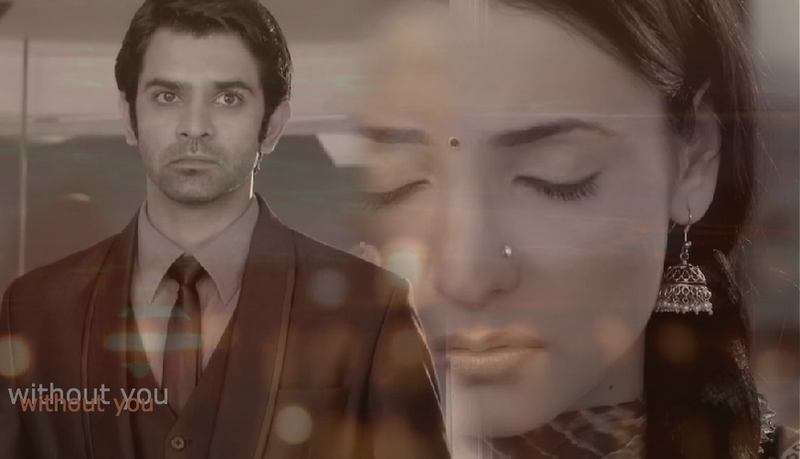 asr’s eyes turned to the door on the other side of the room. he saw the nurse standing there, a vacant, vulnerable expression on her face. asr knew what he had to do. he wondered only if he could do it. then he took a deep breath and let his eyes travel down. she stood there maybe a foot and half tall… she was wearing a light pink sweater over a red dress. the dress had frills at the edges. she had on long woollen socks, no shoes. all this registered very quickly, in a compressed unit of time. not a second, not a nano second… it is just a moment and its dimension is hard to give exact edges to and name. there was a tiny sound. as though she’d coughed or maybe chortled. he looked up and there were her eyes. dark, dark brown, large, bright, twinkling eyes. he had never seen eyes like that before. there was no sign of this world in them… they were clear, untouched, limpid… with nothing in them except their brightness. he could feel himself breathe out slowly. she had tight dark brown curls all over her head, bouncing, not quite neatly combed. one of her fists was thrust into her mouth and he could see her drool all over it. her cheeks were plump. like di’s. he felt his body jerk at the thought. he wanted to go and pick her up right then, take her home. and yet he couldn’t move. the tiny toddler whose name meant ray of light took a first uncertain step… the three adults in the room watched her unblinking. then she took another step… asr’s mouth went dry. she looked at him and took out her fist from her mouth to give him a huge grin and then she started to tumble gleefully toward him. steps… he could hear the steps… running… breath… gun shots… and then maa… she was smiling… he swallowed. were those tears in his throat? he didn’t care, he ran forward and picked up his little niece and lofted her high up in the air. this time the child chortled and then she reached out and touched his cheek with her drool covered fist. vijay verma watched the two of them, a weight lifting off his heart. “roshni!” asr smiled up at the bundle of energy wiggling in his hands. hi, here’s the meeting i had no idea how to really write about. i hope it has worked out well… this is a very unusual thing to happen in anyone’s life. the feelings and words and thoughts around this are one of a kind, hard to find… that’s why it is so interesting to write about i guess. hope you enjoy. do let me know your thoughts. take care, thanks so much for reading… last two chapters of without you coming up. look forward to your comments.